Harris finished in 13.24 seconds, with Merritt seven-hundredths of a second behind. Devon Allen, a former college football player at Oregon, took third. Ryan Crouser won the shot-put with a 22.65-meter heave on his final attempt. Merritt, 31, said he knew he would make a strong return, although he encountered many skeptics. The crowd erupted Sunday when Ryan Crouser’s final heave in the shot-put surpassed Joe Kovacs’s best to give Crouser the win. 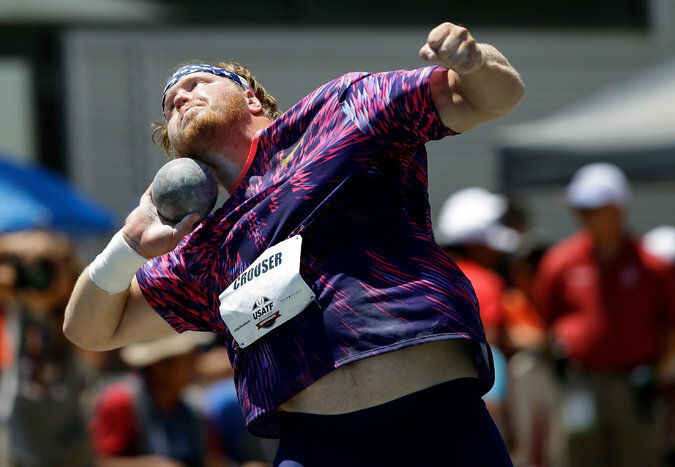 Crouser’s distance of 22.65 meters (74 feet, 3 ¾ inches) edged a 22.35-meter throw by Kovacs, who already had an automatic bye into worlds as the defending world champion.